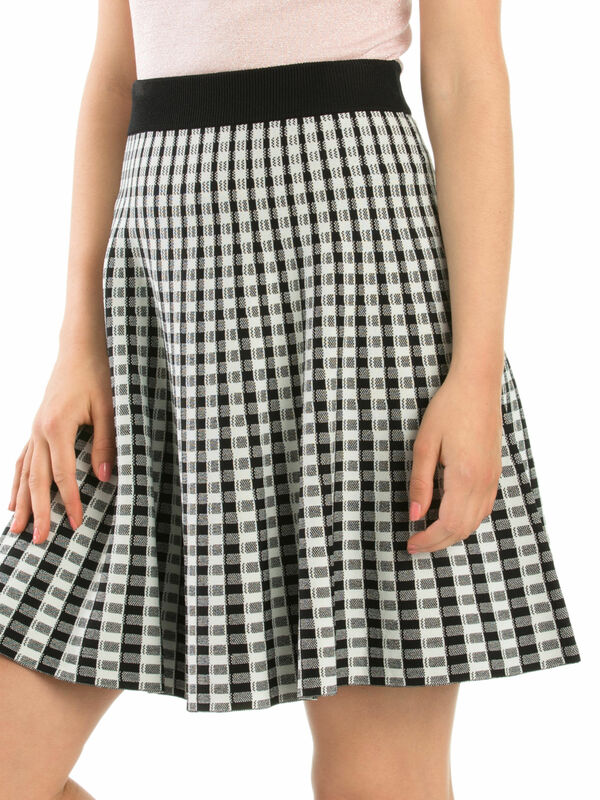 Frankie Knitted Skirt https://www.review-australia.com/asia/frankie-knitted-skirt-black/RE19SK077.REBLK009.html Traditional check meets modern A-line design with this Frankie Knitted Skirt. Fitted with a ribbed and elasticated waistline for a comfortable fit. The monochrome colourings mean that you can style it however you want and it works perfectly with a pair of ballet flats or high heels. 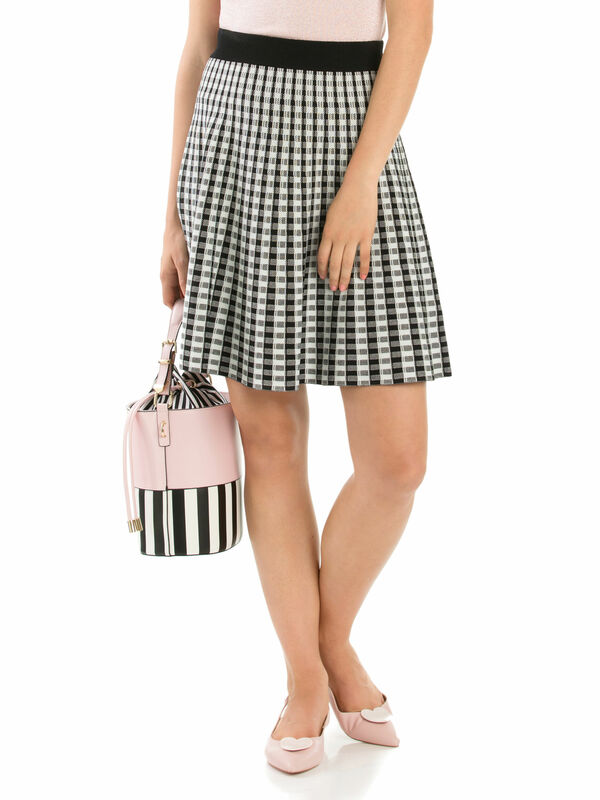 Worn with Verity Top, Shelley Heart Shoes and Full Of Sunshine Bag. 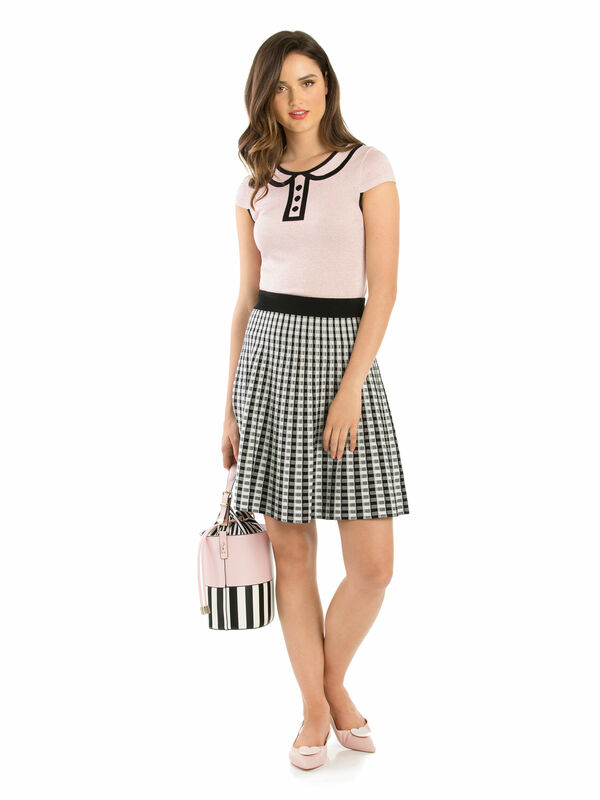 Traditional check meets modern A-line design with this Frankie Knitted Skirt. Fitted with a ribbed and elasticated waistline for a comfortable fit. The monochrome colourings mean that you can style it however you want and it works perfectly with a pair of ballet flats or high heels.